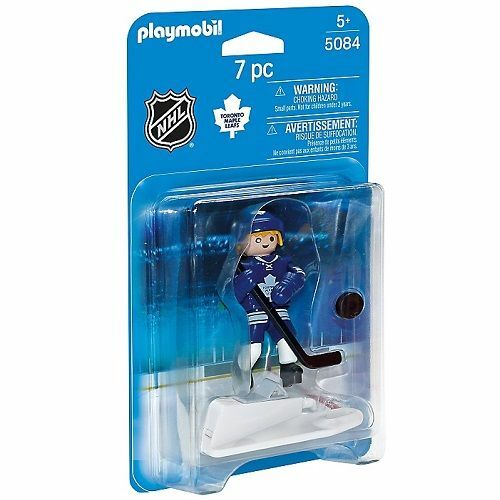 Playmobil 5084 NHL Toronto Maple Leafs Player - Chat Perché - Toys & Games! 5 years old and up. Take control of your own exclusive Playmobil NHL Toronto Maple Leafs Player and jump into the action! Skate, pass and shoot on your opponent to seal the victory to bring home the Cup! 5 years old and up. Take control of your own exclusive Playmobil NHL Toronto Maple Leafs Player and jump into the action! Skate, pass and shoot on your opponent to seal the victory to bring home the Cup!